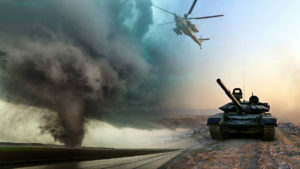 The Procedure for force majeure (circumstances of irresistible force) certification shall be established by the Ukrainian Chamber of Commerce and Industry and regional chambers of commerce and industry in the Regulations for Force Majeure (Circumstances of Irresistible Force) Certification. Availability of one or more force majeure (circumstances of irresistible force) as listed in Article 14-1 of the Law of Ukraine “On Chambers of Commerce and Industry in Ukraine” as amended 02.09.2014, as well as determined by the parties under the contract, agreement, standard contract, laws, departmental and/or other regulations having effect on obligation so that precluded from its fulfilment within the dates as set forth in the contract, agreement, standard contract, laws and/or other regulations shall serve the basis for certification of force majeure. Force majeure circumstances (circumstances of irresistible force) shall be certified upon request of economic entities and natural persons for each individual contract, individual tax and/or other liabilities/obligation to be fulfilled under the terms of the contract, agreement, laws or other regulations and when it appeared impossible to be fulfilled due to the above circumstances. An application presented in the UCCI-prescribed form on certification of force majeure (circumstances of irresistible force) (Appendices No. 1, 2, 3, 4 to the Regulations) shall be filed and signed by the enterprise, organization’s senior official bearing the stamp of the enterprise or by an authorized person when instructed. An application of a natural person shall be filed and signed personally or by an authorized person when instructed. Each individual application shall be filed together with a separate package of documents. An applicant shall be held responsible for complete and proper execution of an application of an established form for respective category of applicants, reliability of stated facts, presented documents, evidence, data, true copies certified by him/her according to the applicable legislation of Ukraine. The improper or incomplete execution of an application in a prescribed form for respective category of applicants and/or failure to present the documents as provided for in this application shall serve the basis for dismissal of an application without prejudice with notification of an applicant hereon in writing.